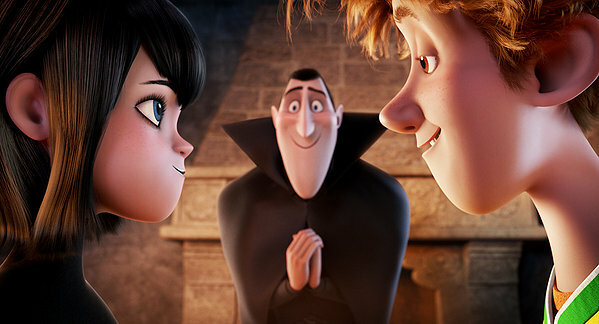 This year has been such a great for animated films – indeed, such a great year for family films in general – that “Hotel Transylvania” is a terribly painful ordeal to sit through. Though some would argue that the film is far from terrible, the averageness of the whole affair is so obvious I just sat in the theater waiting for something of interest to happen. This is what happens when you give a studio the chance to make a short film into a feature film without the benefit of experience to write a feature length screenplay. Actually, it may be worse than that, because the movie feels like the result of a bunch of guys sitting in a room and watching “Shrek” and feeling like they understood it well enough to make a good imitation of it. 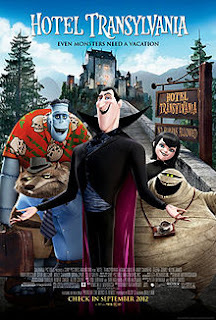 The story: Dracula (Adam Sandler) is the owner of Hotel Transylvania, a getaway hotel for monsters who want to take a vacation. The hotels slogan is “Human free since 1872,” for Dracula hates humans. So does everyone else in this hotel. The strange thing is most of them have never actually interacted with humans before. Makes you wonder what the monsters do for a living when they aren't at the hotel. Dracula created this hotel so that he could forever protect his daughter Mavis (Selena Gomez). But at ripe age of 182 years old Mavis is ready to fly the next and see the world, despite the fact that humans are the reason her mother died. Of course the only possible two places this story can go are for Mavis to either defy her father's wishes and leave the castle anyway or have a human accidently find Hotel Transylvania. It's the later direction this movies ends up going in. It makes sense of paper because why would you want the movie to take you away from the stylish castle and cool monsters right? Sadly, I can't say the castle is too impressive. It looks like a generic castle that you'd find in a Simpson's Halloween episode. The movie doesn't even have fun with how a hotel would compensate for monsters of different sizes and powers. And the monsters themselves…honestly, they're kind of annoying. Everyone in this film seems to be having a shouting contest, where the character who shouts the loudest gets the focus of the scene. Everyone overreacts to everything in this movie. Considering these are monsters maybe I shouldn't be too surprised, but wouldn't it be fun if the Mummy liked to read books instead of shouting and farting? Never mind. Movies like “Hotel Transylvania” are strong reminders why so many people these days have problems with ADD. The movie refuses to sit still for any reason. 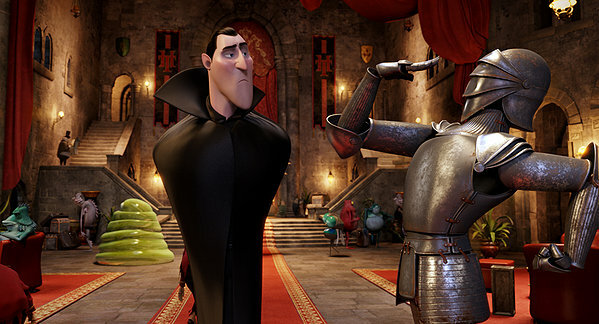 These characters shout, overreact, and stick things out at the screen because the film is in 3D. It's actually pathetic to think that this movie comes out shortly after Pixar re-released “Finding Nemo” in 3D. The sad thing about this is that “Finding Nemo” still seems fresh and original almost ten years later, and the 3D use is far more clever and fun than the 3D here. That's strange considering that movie got a simple up conversion while “Hotel Transylvania” had the 3D built from the ground up. 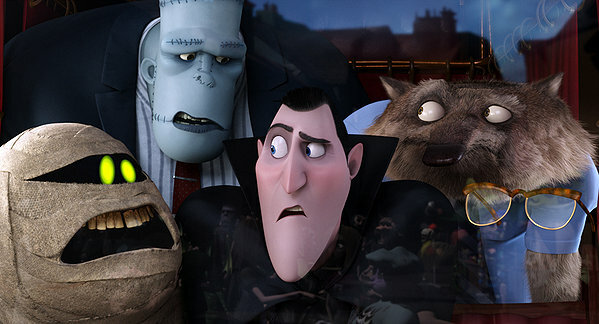 The movie also feels a little juvenile compared to “ParaNorman,” which really does put a new twist on the monster film. But why am I surprised? 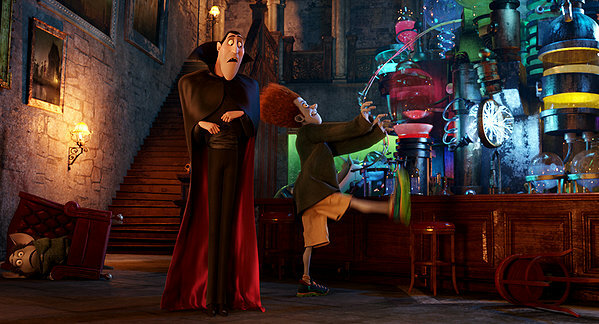 After all, none of the characters in “Hotel Transylvania” can stop shouting long enough to realize just how boring they are. Parents, there are some mild rude jokes but nothing offensive or scary. Recommended for ages 6 and up.